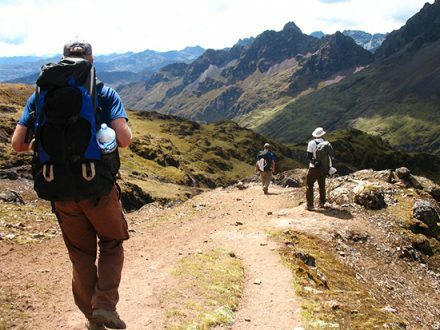 If you want to explore Cusco, the Inca sites and Machu Picchu in the shortest time as possible, then this package will suit you perfectly! We combine the Cusco City Tour, the Sacred Valley of the Incas and the Classic Train Tour to Machu Picchu, giving you the opportunity to explore the most amazing sites and cultures in the area around Cusco. To let your adventure begin, we will recept you at the airport in Cusco and then transfer you to the Amaru Group Hostels. We recommend you to get an early flight so you can spend your morning relaxing and acclimatising to the altitude (in case you are arriving from sea level)! In the afternoon, the city tour of Cusco will give you a great opportunity to discover the enigma of this marvellous city and the surrounding archaeological sites. We will pick you up at 1:15 pm from your hotel and bring you to the main Plaza de Armas at 1:30 pm, where you will meet you travel mates (in case of shared service). We start our adventurous tour by visiting the Main Cathedral of Cusco. Here you can observe the colonial architecture and the amazing paintings of the Cusqueña School (well known for its religious iconography painted by Cusqueños). 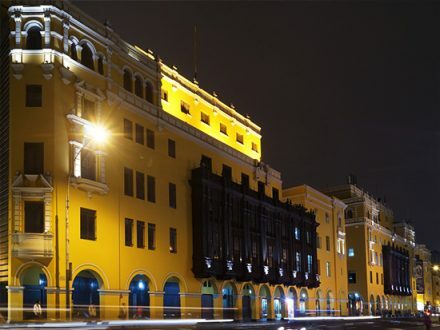 Afterwards, we will take you to the Qoricancha (golden palace) and Santo Domingo Convent, which is a perfect example for the fusion of the Inca and Christian culture. After your city tour, we will take the bus and drive to the impressive Inca Fortress of Saqsaywoman. You will be amazed by the rocks used for construction, some of them weigh more than 300 tons! The tour continues discovering the underground temple of Quenqo (labyrinth) and its impressive rock carvings and tunnels. This religious temple is dedicated to the worship of mother earth. After a few minutes ride we will see another fortress called Puka Pucara (red fortress) which was used as a military control entrance gate to Cusco. Walking for a few minutes, we will arrive at Tambomachay (water temple), a temple which is dedicated to worship the water, fertility and longevity. We return to Cusco at the end of the day. If you want, you can ask your tour guide to stop at one of the souvenir shops on your way back. The Sacred Valley tour starts at 08:00 am in Cusco. We will pick you up from your hotel and bring you to the bus, where you will meet your tour guide and travel mates (shared service). We leave Cusco around 08:30 am in direction to Pisaq, descending to the sacred river Urubamba. With a few stops along the way at various lookout points, we will arrive at Pisaq where you can enjoy discovering the traditional handicraft market. Here, you have enough time to do some local souvenir shopping. Afterwards we continue our trip and drive up the mountain to the Pisaq ruins. Our tour guide will take you around the temples, terraces and tunnels of this complex while constantly enjoying the majestic view of the sacred river and also the Intihuatana (sun clock). We then drive among the Urubamba river, passing through a little colourful town where you can observe the descendants of the Quechua people wearing their beautiful colourful ponchos. Our next stop is in Urubamba where will have lunch (we recommend a lunch buffet with Peruvian food). After a short rest we keep on until we reach Ollantaytambo, one of the last living Inca towns. You will be amazed by this village! You will have some time to explore the impressive Temple of the Sun with its intricate stone worked details, the terraces constructed to sustain the mountain, the temple in shape of a llama and its beautiful water fountains. After exploring the complex, your tour guide will bring you to the train station from where you will take the train at 04:30 pm in direction to Aguas Calientes (Machu Picchu Town). Enjoy the incredible journey of 2 hours on the train with its panoramic windows where you can observe the Urubamba River descending from the high valley down to the cloud forest at 2000 meters. The landscapes changes drastically in front of your eyes! You will be amazed to see the tropical mountain ending in a snow carpet and the small waterfalls shimering on the hills, forming small rivers that flow down to converge at the Sacred River. After these spectacular natural views you arrive at Aguas Calientes where the warm atmosphere welcomes you with typical jungle sounds. Our staff will be waiting for you at the gate of the train station in Aguas Calientes and bring you to your hostel. At 07:00 pm you will receive a short briefing from your tour guide for the next day’s excursion, so please make sure you will be in the hotel at that time. Wake up very early in the morning to have your breakfast (at 04:00 am) and then take the bus uphill to the famous Inca Citadel of Machu Picchu, the Lost City of the Incas. The first bus leaves at 05:30 am and takes a 25 minutes ride. Optional take the path which is winding up the mountain to reach Machu Picchu. Machu Picchu gate opens at 06:00, so arriving early you will be one of the first visitors of the day, avoiding the crowds. In case you don’t want to wake up early, please take the bus at 7 am. At 07:45 am, your bilingual tour guide will take you around the vast ruins for about 2.5 hours, comprehensively explaining the historical significance of Machu Picchu and its importance in the Inca Empire. After the excursion, you can climb up the mountain Huayna Picchu from which you will have stunning views over the whole complex! However, there are only 400 entrance tickets per day. Therefore, please let us know in advance if you would like to do the hike when you do your tour reservation (extra cost of US$ 15.00). 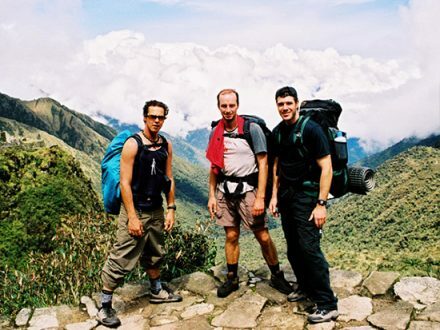 Due Huayna Picchu is very fast oversold, we are offering Machu Picchu Mountain as a second climbing option. The advantage of this hike is that it is less crowed, but not less beautiful. The cost of this climb is also US$ 15.00 per entrance. A frequent bus service takes visitors back to Aguas Calientes (included) at any time. If you prefer, take a walk down through the jungle – it will take you roughly 45 minutes. In the afternoon, you will take your train back to Ollantaytambo and from there a tourist bus which brings you back to Cusco. According to your flight or bus schedule, we will give you a free walking tour around the city of Cusco, so you can discover the enigma of this city and at the same time do some souvenir shopping. Afterwards, we transfer you to the Airport or Bus station. 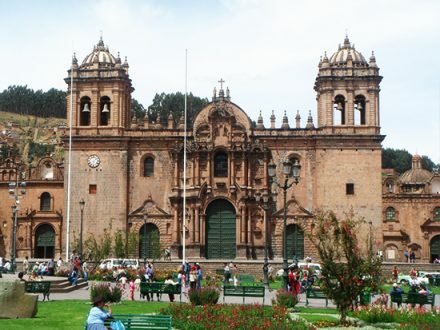 Cusco Tourist Ticket: We recommend you to buy the general tourist ticket that allows you to visit 15 places, including the ruins of Cusco and the museums. This ticket also includes the entrance to the Sacred Valley sites. Book an extra night in Aguas Calientes in case you don’t want to spend the night in Cusco. (On double occupancy, you have to book it in advance so we can organise your train tickets for the following day). Price based on two people. Single person pay +US$ 40.00 per night for a single accommodation. Upgrade your hotel in Cusco up to your needs!